Quick and super easy recipes are always popular with me and it’s even better when I can actually find one that is delicious and somewhat gourmet. A meal like this makes the average day feel a little extra special. Scallops aren’t something I cook very often due to the price but they sure are awesome to indulge in every now and again. They are incredibly simple to cook and have a really mild flavor sure to please the whole family. This sauce is the perfect pasta sauce for summer. It’s light and super refreshing with all that lemon. Whether you are looking for a quick dinner for a work night or even an elegant one for company, this is a great go to recipe. Note: Start with the lesser amount of lemon zest and lemon juice and adjust accordingly per your taste. Bring a large pot of water on to boil. Season the scallops with salt and lemon pepper. Put the pasta on to boil and cook per package instructions. Heat 1 tablespoon of olive oil and the butter over medium high heat in a large skillet. Add the scallops to the skillet in a single layer. Cook turning once until golden on the outside and no longer opaque in the center, about 3 minutes per side. Transfer the scallops to a large plate. Add the remaining 3 tablespoons of olive oil to the pan along with the lemon zest, lemon juice, thyme, and additional salt and pepper. Stir in the ricotta until you have a nice creamy sauce and then add in the peas. Drain the noodles and add them to the skillet. 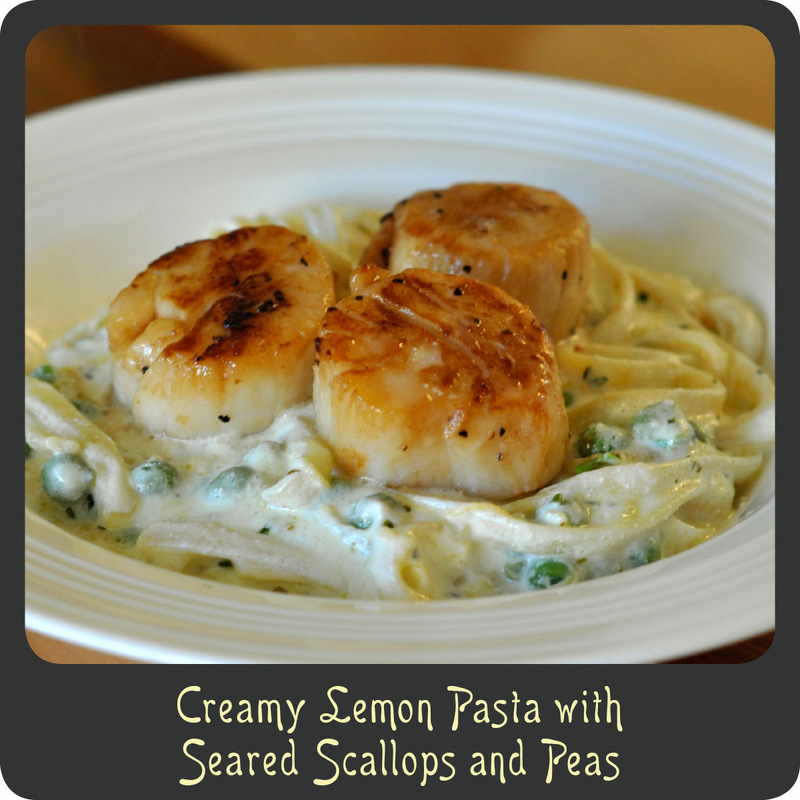 Transfer the pasta to a serving dish and top with the seared scallops.